On Monday, the cast and crew of “Collateral Beauty” have attended the film’s New York premiere. “The beauty of love, time, and death. 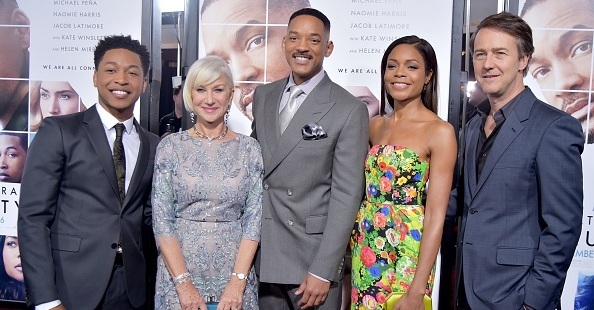 Allan Loeb wrote a brilliant screenplay,” said Will Smith, while Helen Mirren said she felt compelled to participate in the project because of “the beauty of the story.” “It is a very, very beautiful and intense story,” added Mirren. Directed by David Frankel and written by Allan Loeb, Collateral Beauty follow ssuccessful New York advertising executive Howard Inlet (Smith) after a tragic loss from which he tries to cope by writing letters to “life,” “death,” and “love.” “You kind of know that you’re going through a very dramatic story, but there’s going to be a payoff that’s so powerful,” said Frankel. Pictures from the premiere have been added to the photo gallery.